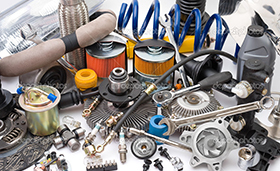 Need Foreign & Domestic Auto Parts & light truck parts in Old Town, Tallahassee & Ocala? 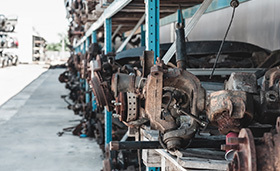 Dixie Salvage Yard: Serving the Areas of Alachua, Gilchrist, Leon, Madison, Taylor County, and Old Town, FL with Truck and Auto Body Parts, Used Engines and More! 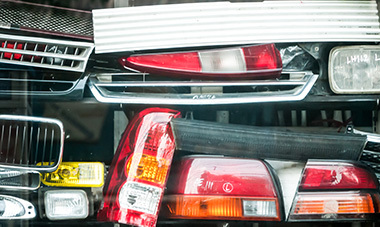 Ask around and you’ll quickly discover that Dixie Salvage is the name to know for auto and light truck parts. Throughout the heart of Dixie County, from Old Town to Lake City, Gainesville to Tallahassee, everyone from shade tree mechanics to professional service technicians trust Dixie Salvage for virtually any part they need. There are other salvage yards, but there’s only one full-service yard in the area, and that’s Dixie Salvage, where you’ll find the parts you need and the service you deserve! That’s one of the reasons so many clients throughout the U.S. search our website. We ship everything but sheet metal (car doors, trunk lids, hoods, etc. ), so you can get the part you want shipped to your garage or home. 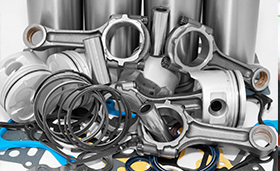 Customers appreciate our quick turnaround and competitive pricing, and they know we stand behind every part we sell. As a member of the FADRA, Dixie Salvage adheres to a strict Code of Ethics that focus on protection of natural and manufactured resources and a total commitment to customer satisfaction and community support. Foreign and Domestic, Dixie Salvage has over 30 acres of late model vehicles including Ford, Chevy, Buick, Dodge, Chrysler, GMC, as well as the most popular imports like Toyota, Nissan, Honda. When you want a little extra peace of mind, we provide it with our available extended warranties. We pull the parts for you. Save time and aggravation and enjoy the area’s ONLY full-service yards. Most parts in stock and ready to deliver. Even if we have to locate a part, you’ll be pleasantly surprised at how quickly we get it to you. Radiators, taillights, mirrors, headlights, etc., Dixie Salvage can deliver many of the new parts you want at prices you’ll appreciate. Buy with confidence from Dixie Salvage. Save HUGE money over dealership parts prices. Running, not running, foreign, domestic, truck or car, we’re always buying vehicles to replenish our huge inventory. We’re always competitive…and we’ll always pay you a fair price. Everybody deserves service this good. That’s why we’ve made it so easy to order online, getting the parts you need shipped anywhere in the USA. Engines, transmissions, headlights, taillights, and windshields or side-glass: whatever you need, you’ll find it at Dixie Salvage.